TASMAC Recruitment 2018: Tamilnadu State Marketing Corporation Ltd recruiting 500 candidates to fill Junior Assistant jobs in Tamilnadu State. We suggest the candidates go through the latest TASMAC Recruitment 2018 fully, before applying to this jobs in Tamil Nadu 2018. Tamilnadu State Marketing Corporation Ltd jobs come under the Government job. 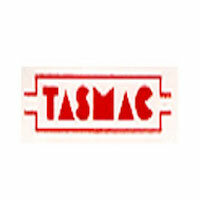 The higher authority of TASMAC organization invites job applications through online mode only. TASMAC invites the Junior Assistant application forms till the 14th September 2018. The detailed information on TASMAC latest job notification 2018 has been provided in the further section. The job seeking aspirants are advised to read the below TASMAC job selection process, tasmac.co.in eligibility, salary, age limit and applications fee, etc. Aspirants stay tuned to this page freshersnow for upcoming updates in TASMAC Junior Assistant jobs 2018. 1.10 How To Apply For TASMAC Recruitment 2018 Notification? The maximum age limit is 57 years. The General category – Rs.354/-. For the SC, ST, and Ex-Servicemen TASMAC application fee is Rs.174/-. The selected candidates in TASMAC Recruitment 2018 will get the pay scale of Rs. 5,200 – 20,200/- Per Month. Self Attested photocopies of 10th standard, 12th standard certificate or equivalent in support of Date of Birth. Photocopy of the People Studied in Tamil Medium for graduation if applicable. Self Attested photocopies of Medical Certificate for Differently abled applicants as per G.O(Ms) No51 Welfare of Differently Abled Persons (DAP.3.2.) Department dated 26.12.2017, if applicable. Marks Memos of Diploma certificate or equivalent (if any), Graduate degree Certificate and mark sheets or grade sheets in a relevant discipline, Post Graduate degree Certificate and mark sheets or Other Educational Qualification if any. Demand Draft for Application Fees. Starting Date of TASMAC Recruitment 2018 Application Process: 13th August 2018. Starting Date Application Process Closing Date: 14th September 2018. How To Apply For TASMAC Recruitment 2018 Notification? Read the notification carefully before filling in the application and fill in the details online and submit the application form. After applicants are required to upload the Scanned image of the recent color passport size photograph and clear image of the signature of the candidate along with the Application. Applications containing wrong claims relating to the basic qualification, the category of reservation / educational qualification will be liable for rejection. Any request for change of address and other details mentioned in the application form submitted will not be entertained subsequently. After submitting the TASMAC Recruitment 2018 application online, the applicants can save their application in PDF format.